“If you’re lonely,I’ll be your shadow. If you need to cry,I’ll be your shoulder. 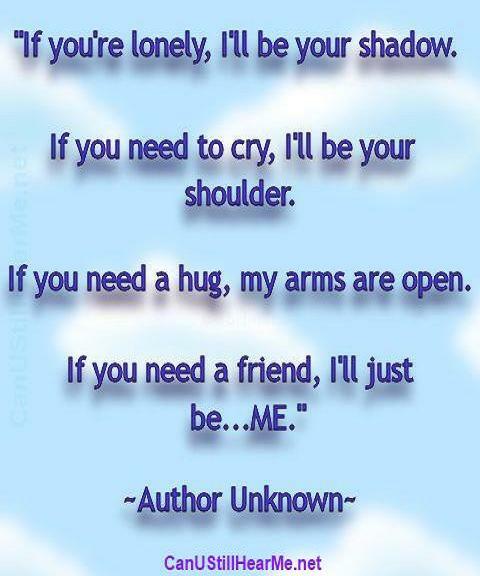 If you need a hug,My arms are open.